After a successful tour of South Africa, team India's next assignment is a tri-series involving hosts Sri Lanka, and Bangladesh as the third team. The Nidahas Trophy has been arranged to celebrate the 70th year of independence of Sri Lanka. Each team will play each other twice and the top two teams will play in the finals. All the matches in the Nidahas Trophy will be played at the R Premadasa Stadium in Colombo. The tournament will commence from 6th March, 2018 with the finals being played on 18th March, 2018. Team India has rested as many as 6 regular players who represent India in the T20 format. The likes of Virat Kohli, M.S. Dhoni, Hardik Pandya, Jasprit Bumrah, Bhuvneshwar Kumar and Kuldeep Yadav have been rested for the series considering their workload throughout the last season. 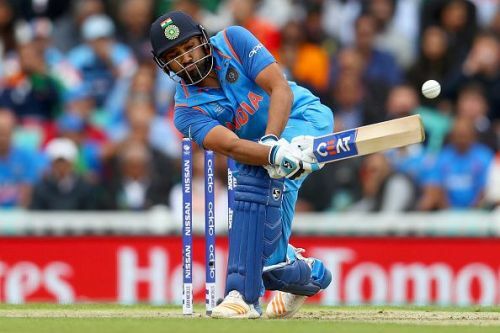 The series will see Rohit Sharma leading the side. The series will also provide a perfect platform for many young cricketers who have played consistent cricket in the domestic circuit to represent India at the international level and to justify their selection. Rohit Sharma (Captain), Shikhar Dhawan, K.L. Rahul, Suresh Raina, Manish Pandey, Dinesh Karthik, Deepak Hooda, Washington Sundar, Yuzvendra Chahal, Axar Patel, Vijay Shankar, Shardul Thakur, Jaydev Unadkat, Mohammed Siraj and Rishabh Pant.